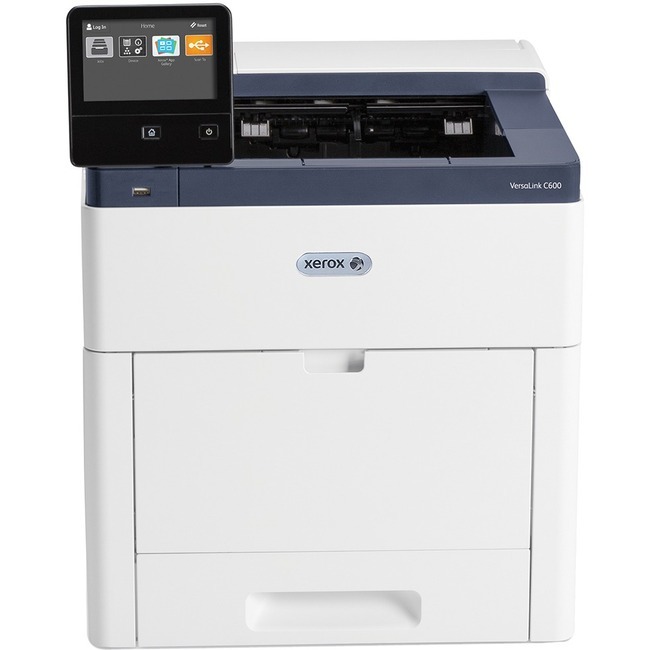 The VersaLink C600 Colour Printer and VersaLink C605 Colour Multifunction Printer represent the new definition of exceptional performance and unbeatable reliability. Cloudconnected, mobile-ready, app-enabled, and easy to customise, the C600 and C605 are your modern workplace assistants - transforming the way you work today, while ensuring you'll stay one step ahead tomorrow. Right out of the box, you'll count on your VersaLink C600 or C605 to consistently and flawlessly perform the tasks that make your business work more efficiently. From IT-free installation wizards, to step-by-step configuration options, you're ready to go - hassle free. Completely re-engineered for superior reliability, the VersaLink C600 and C605 feature a new hardware design with fewer moving parts, and a more advanced Hi-Q LED print head. With the customisable, capacitive 7-inch colour touchscreen (5-inch on the C600), you can tap, swipe and pinch your way through tasks and functions with mobile-like ease.